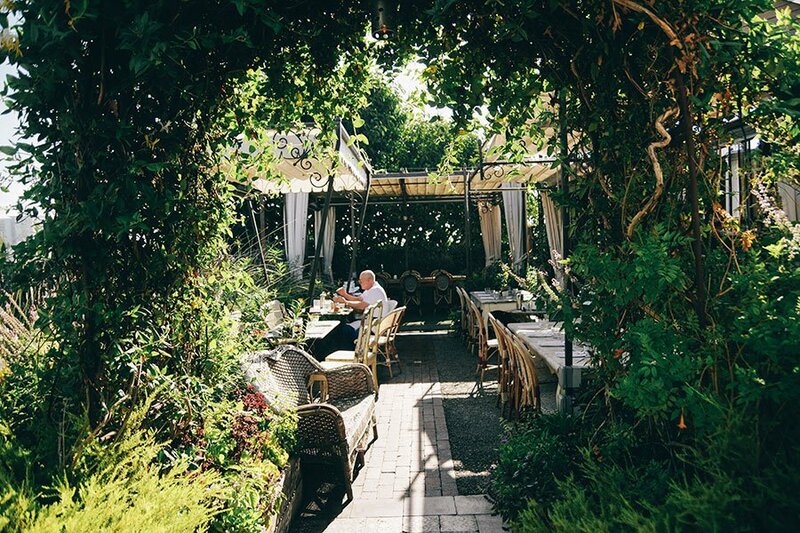 A little garden escape at Petit Ermitage. All photos by Anna Petrow. No celebrities were photograped for the making of this story. 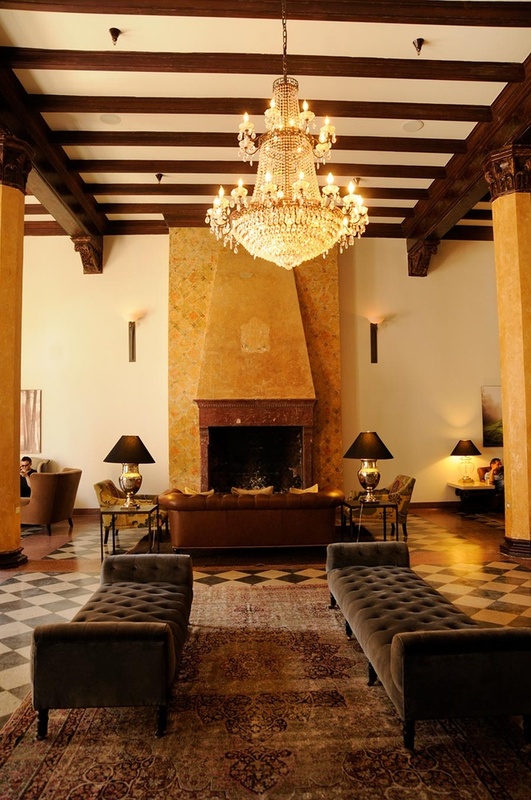 Gentedimontagna contributing photographer Anna Petrow snapped only sweet pics of boutique hotels on LA's west side. 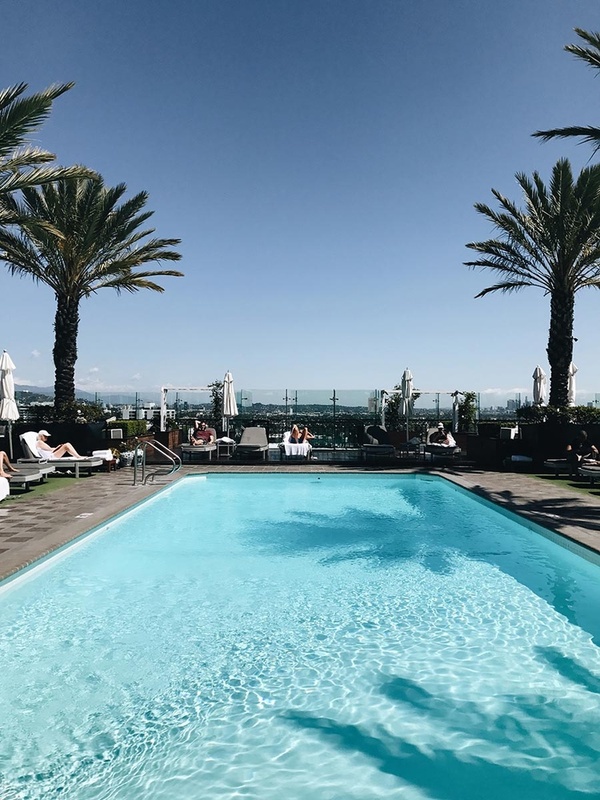 LOS ANGELES – Booking a hotel in La-La-Land means considering and cleverly embracing/avoiding its many attributes: celebrity sightings, shopping promenades, fresh eats, pristine weather, and never-ending sprawl. 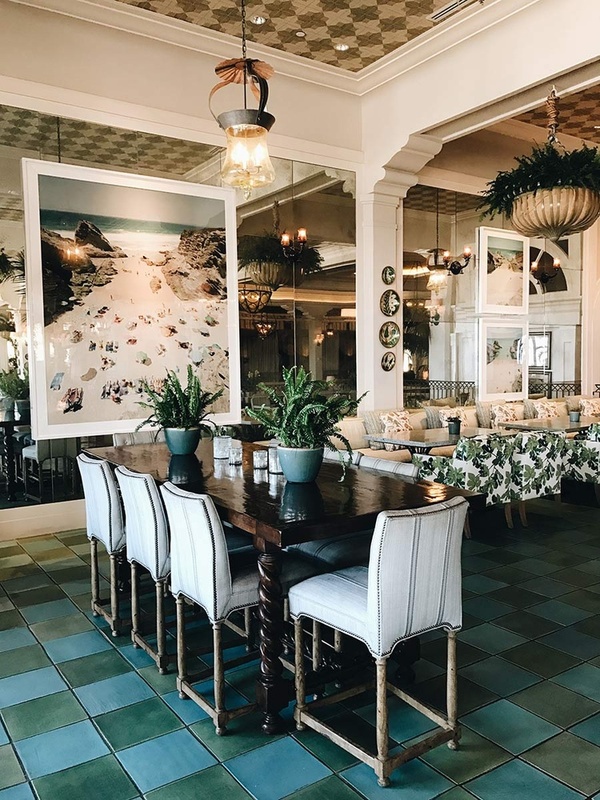 Old-school Hollywood favorites like and dominate the hospitality conversation and mega-chains dominate the landscape, but these five design-centered boutique spots might feel just right to you the next time you're in town. A private Mediterranean mansion situated right on the beach. Old wooden staircases lead to breezy ocean-view rooms with four-poster beds and cozy blankets. Ride bikes along the boulevard, indulge in mango lobster sushi at , hit the spa, or float in the elevated pool overlooking the Pacific. Bohemian minimalism prevails in this Koreatown budget-friendly hotel. Tiny rooms make up for the lack of space with beautifully restored wood floors, h bedding, and glimmering white tile. The charming lobby is a wonderful place to sip an espresso while taking in the wood beam ceilings, glowing chandeliers, and the public-use typewriter. Design details reign at this darling boutique urban lodge. From the whimsical rooftop hangout to the bohemian lobby littered with Turkish rugs, this place is the definition of Instagram-worthy. Live music happens in the evenings and pre-bottled cocktails happen in your en-suite kitchen. 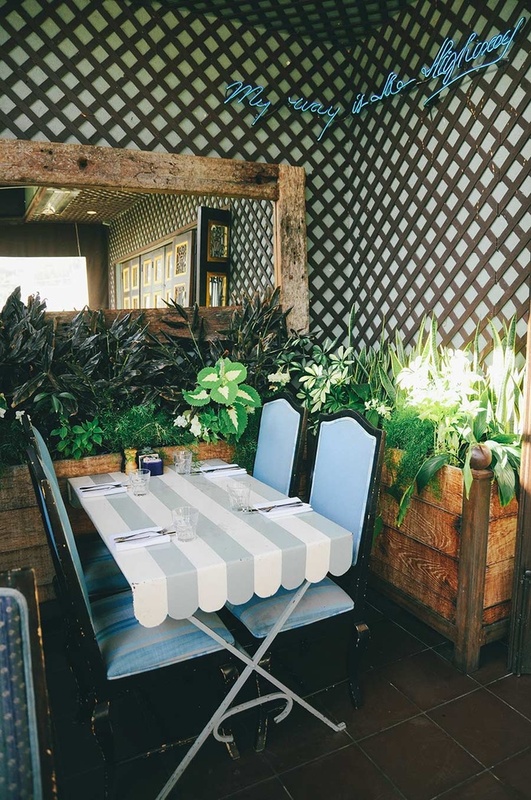 A favorite of starlets and world-travelers alike, this sweet hotel is tucked away on a side street in West Hollywood. Plug in the address on your GPS or you just might miss it behind all the vines and greenery. The breakfast room feels like a trip down the rabbit hole; bedrooms induce dreams straight out of Arabian Nights; nightfall on the rooftop means fire pits, fur blankets, and sometimes even an old Hollywood classic projected on an outdoor screen. 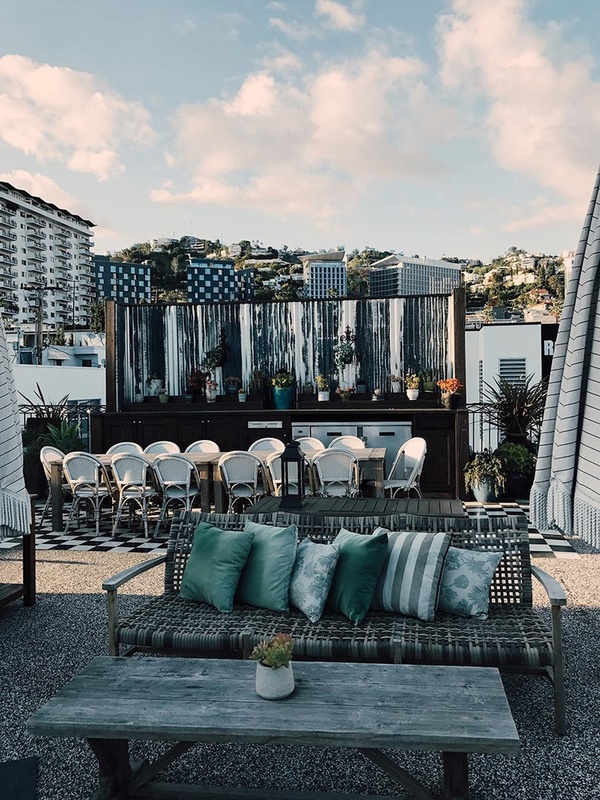 The perfect fit for the jet-set crew, London West Hollywood has a posh, upscale feel without the crowding you encounter at other high-end hotels in the city. Expect spacious, suite-style rooms with oversized king beds, mosaic tiled balconies, and truly epic marble bathrooms. The highlight here is the rooftop pool — plenty of spread-out seating and cabanas create a relaxed, private experience. Lather on the complimentary organic sunscreen, order a blood orange tequila shaved ice, and settle into total bliss. У нашей фирмы авторитетный веб портал про направление http://steroid-pharm.com.